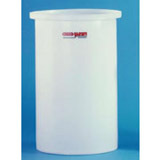 These Plastic Rectangular Tanks are a sturdy space-saving option for your chemical liquid storage needs. 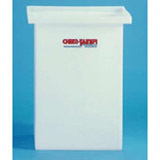 Offering the high chemical resistance necessary to handle your materials, these plastic rectangular tanks are a reliable option for storing many different materials. 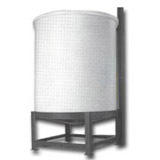 Designed with a variety of options to meet your chemicals weight and temperature, these rectangular tanks can be manufactured in either a polyethylene or polypropylene material. 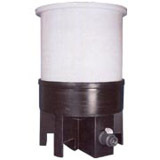 Additionally, covers for these tanks are alsoavailable if you will be needing to protect your stored items from elements in the air. Long-lasting and manufactured with no seams, these plastic rectangular tanks are an ideal choice for storage of chemicals, fertilizers, liquids, and more.